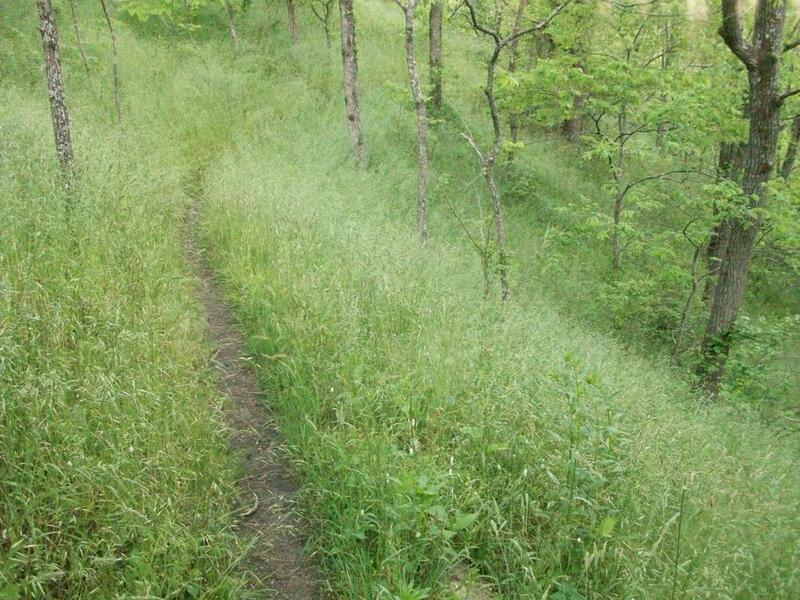 Located in a wooded buffer zone around the Buncombe County Landfill, Alexander Bike Park offers rides about 7 miles of trails on a slope high above the French Broad River. Trail through grassy woods in Alexander Park. Technical Section of Trail at a bridge in Alexander Park. The trails range from smooth and fast (less common) to tight and twisty (more common), but in general they are rated More Difficult and are moderate in aerobic and technical challenge. 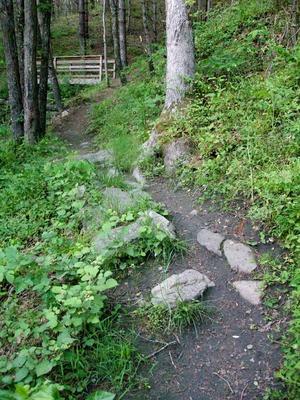 Some trails follow existing roads but some have been newly constructed for the park. 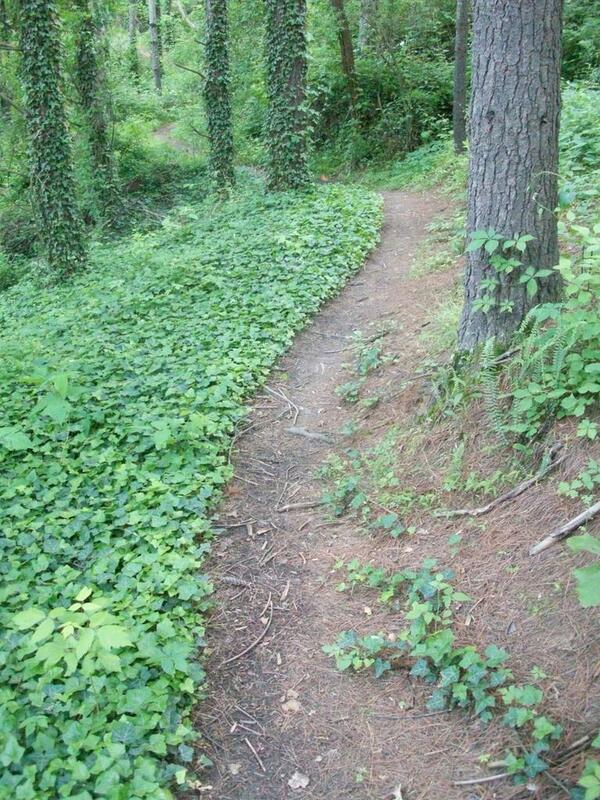 Some sections of trail get overgrown a bit in the summer, but they're in generally good shape. There are two main loop trails in the park. The red-blazed right loop starts at the French Broad River parking area and travels around the lower section of the park, totaling just over 3 miles, and contains the more tight-and-twisty singletrack and doubletrack. The other loop, blazed yellow and called the M3 loop, starts at the tip of the right loop (at the landfill access road) and winds around the hillside above the French Broad River. It has a faster, more flowing feel to it, but it too has some twisty sections with technical challenges to spice it up. The barn road connects the parking area to the right loop and then continues uphill to form a connection through the middle of it. From Asheville, take US 19-23 North to the Marshall/Hot Springs exit. Take this exit (US 25-70) and drive to the second light. Turn left onto Monticello road and follow this until it ends at River Road. Turn right; it is several miles to the signed parking area. The parking area is on either side of River Road.